Two-Wire vs. Four-Wire Transmitter For Analog Process Signals - What to Consider? 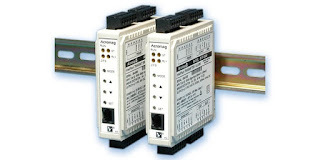 I/O modules are an integral part of process signal connectivity. An important aspect of applying 4-20 mA signal loops is to maintain the capability to add another receiving device to the circuit. The use of information in the form of process signals has been growing for a long time and is likely to continue. It is certainly easier to wire an additional device into an existing loop, than to install an additional sensor, transmitter, power supply, and cabling to accommodate the additional device. Share your process measurement requirements and challenges with process instrumentation experts, leveraging your own process knowledge and experience with their product application expertise to develop complete and effective solutions.